The Union Army wants former Confederate Army general Beau Kerry for alleged war crimes, but he’s hiding out where the Yankees least expect to find him: in the United States Cavalry. Beau is fighting Apaches out West and praying nobody recognizes his famous face. But Lieutenant Kerry's luck changes when he runs into Sergeant Ike Jefferson and says, "The last time I saw you, I had you bent over a barrel and I was whipping you.” Ike is not only Beau's best friend (or worst enemy, depending on the day), he's Beau's former slave -- and Ike knows there’s a $5000 price on Beau’s head. Caroline Dietrich has vengeance on her mind. Married to Colonel Wesley Dietrich, the Union fort commander, Caroline believes the best path to getting revenge against the Yankees, her husband included, is seducing her husband’s officers. Especially Beau. 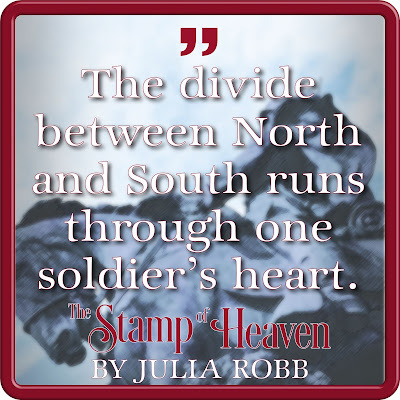 From the killing fields of the Civil War, to the savagery of the Indian wars, the characters are also battling each other and searching for what it means to be human. 1. What is a striker, as they were called in the U.S. Army? A soldier servant, always a private. They cooked, they watched the kids, they did whatever an officer and an officer’s wife wanted them to do. 2. What was the worst thing about serving at Camp Grant, Arizona Territory, in 1870 or so? The buildings were built of unplastered adobe, and scorpions would often fall from the ceilings. You could be sleeping and wake up to horrible pain, not on your head or face, hopefully. 3. When Apaches attacked Anglos, what were the Apaches called? 4. Did 19th century Americans practice dental hygiene and if so, what did they use? Yes indeed, they used toothbrushes made with pig bristles, among other things, and dental powder made with chalk, sugar, and peppermint or cloves. 5. What was an Apache camp called? 6. What was one of the worst afflictions for cavalry riding through the desert? Sweat running into a soldier’s eyes. Even when a soldier wiped his forehead, and tied a bandana above the eyebrows, after a time even that couldn’t keep the sweat out, and it made the soldier’s eyes burn so painfully it was hard to see. 7. What were the Confederates often called? 8. Who was the most famous composer of 19th century American music? 9. What was the name of the newspaper owned and published by Frederick Douglass? 10. What weapon was most common among Union cavalry during the Indian Wars? 11. What did 19th century Americans call railroads? Julia Robb is a former journalist who writes novels set in Texas. 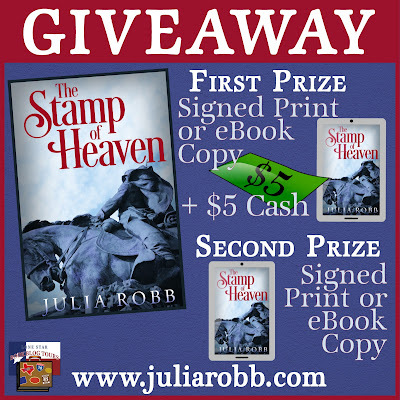 She’s written Saint of the Burning Heart, Scalp Mountain, Del Norte, The Captive Boy, and The Stamp of Heaven. Julia grew up on the lower Great Plains of Texas and lived in every corner of the Lone Star State, from the Rio Grande to the East Texas swamps. A beautiful witch, a member of a murderous coven, is torn from her medieval world and transported to East Texas. The passage leaves her with no memory of her previous life. She falls in love with a young pediatrician, but her dark past threatens to reassert itself…and make her a threat. This book is filled with magic, intrigue, excitement, and fantasy. 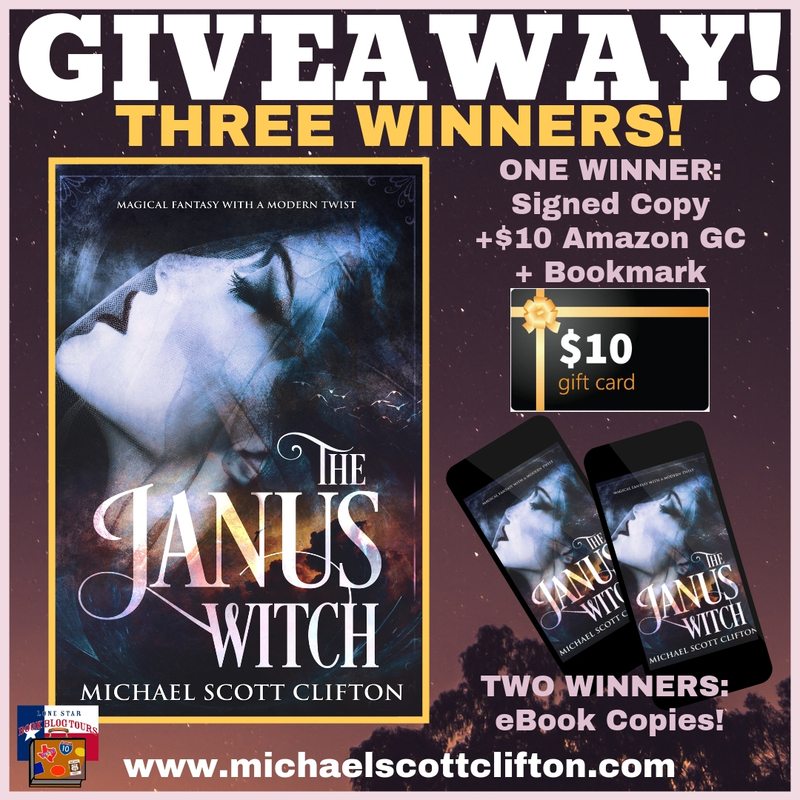 Michael Scott Clifton is a truly gifted author. This novel was an absolute page turner with action and great character development. I enjoyed every minute of it. I'm excited for the next work by Mike Clifton. “Michael Scott Clifton weaves and casts a magical spell in his fantasy romance The Janus Witch. A must read for any Fantasy Romance, Urban Romance, or Paranormal Romance enthusiast!" Michael Scott Clifton, public educator for over 38 years as a teacher, coach, and administrator, currently lives in Mount Pleasant, Texas with his wife, Melanie, and family cat, Sadie. An avid gardener, he enjoys all kinds of book and movie genres. His books contain aspects of all the genres he enjoys...adventure, magic, fantasy, romance, and relationships. He has been a finalist in a number of short story contests. Clifton’s fantasy novel, The Conquest of the Veil, won a First Chapter Finalist award. Professional credits include articles published in the Texas Study of Secondary Education Magazine. 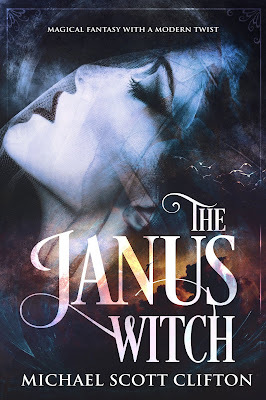 Clifton’s latest book, The Janus Witch, the July Book Cover of the Month, is a featured book on the We Love Indie Books website. 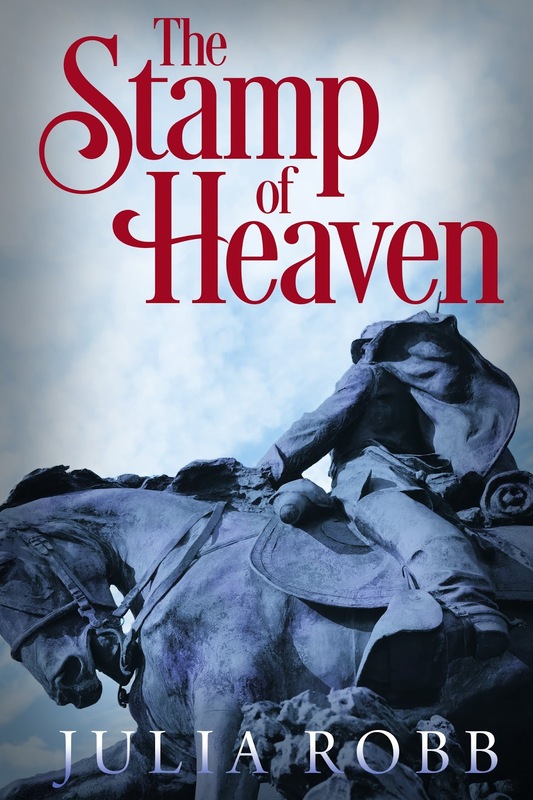 Currently, Clifton is completing Book I of The Conquest of the Veil, which will be released in March 2019. He can be reached at mike@michaelscottclifton.com.